After fighting many battles with the Central Board of Film Certification (CBFC), the trailer of Alankrita Shrivastav directorial venture "Lipstick Under My Burkha" was released on Tuesday in Mumbai. ''There is no problem with CBFC, my problem is with society, which at some point speaks about the same issue in its own ways. If you talk to any girl, you will come to know about five to 10 such incidents happening with her in one day where, being a woman, she has to prove herself a little harder. 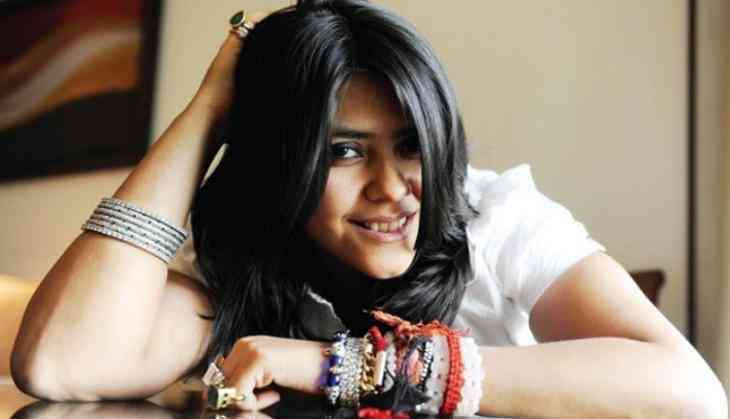 She has to learn how to combat from a very young age,'' Ekta Said. Explaining about the middle finger shown in the poster of the film "Lipstick Under My Burkha", Ekta said: "The middle finger is not for the CBFC but pointed towards the patriarchal society that does not let us come out, which compels us to suppress our voice. That is why this issue is not just CBFC's, this issue is about ideology, it is about patriarchy." "Let's not load the film down with words such as 'life-changing movement' or 'new wave' etc., as these things, these labels can be very hard to live with. "When I saw the film, I found it extremely interesting, extremely sensitive, funny film. I enjoyed watching it and I think even the audience will do," said the Sarabhai vs Sarabhai actress. She also addressed the issue of Goods and Services Tax (GST) by saying: "Not just lipstick, but sanitary pads should also not be taxed by the government. It's a necessity for a woman's hygiene." "Lipstick Under My Burkha", starring Konkona Sen Sharma, Ratna Pathak Shah, Aahana Kumra, Plabita Borthakur and Vikrant Massey, has already created a great buzz among the audience. The film will be released on July 21.